Thursday evening 9 December 2010 we went on a walking Tour of the Inns in downtown Palm Springs. What a great event! Fifteen hotels opened their doors and rooms with treats to consume around the pools – several had live music. It really was a feast for all the senses..it was a balmy 65 degrees – cool enough to enjoy some warm mulled cider but warm enough to linger. The architecture we enjoyed the most was DelMarcosHotel.com designed by William Cody in the 1940’s, DesertHillsPalmSprings.com where we had stayed 7 years ago when we were touristing, and the most photographed pool at PalmSpringTennisClub.net. Seeing these hotels made us inspired to find some of the homes we had seen in Jules Schulman’s Visual Acoustics documentary…we found a map with some of the stars homes indicated and from driving around were able to locate the Kaufman House in all its refurbished glory. (photo taken Sunday 12 December) Excitement! And if we were brave enough (or invited) to walk up to the front door this would be our experience. 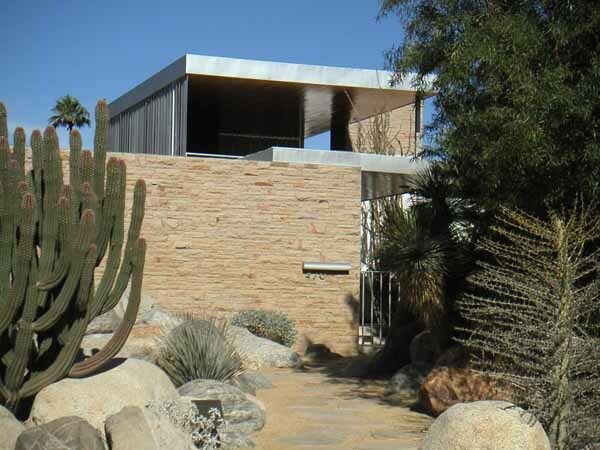 We also went to the Palm Springs Art Museum and surprise! they had SEVEN Henry Moore sculptures on display. Very exciting for me after giving twenty seven tours this year of the eighteen sculptures at the Denver Botanic Gardens. 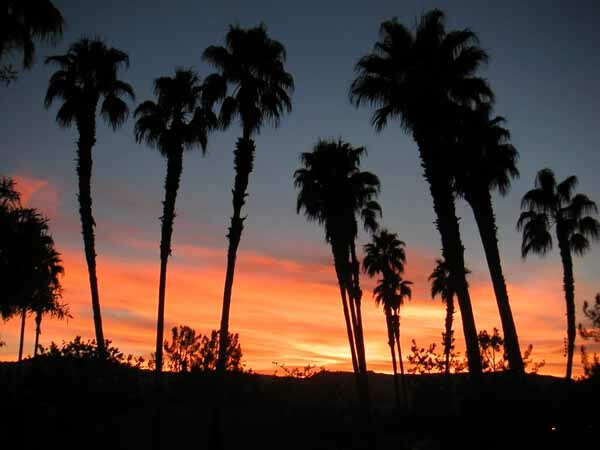 We are enjoying the one bedroom condo in Palm Desert with its view of palm trees and the Santa Rosa mountains in the distance. This view, the pool, hot tub, along with some red wine make it our own little paradise. 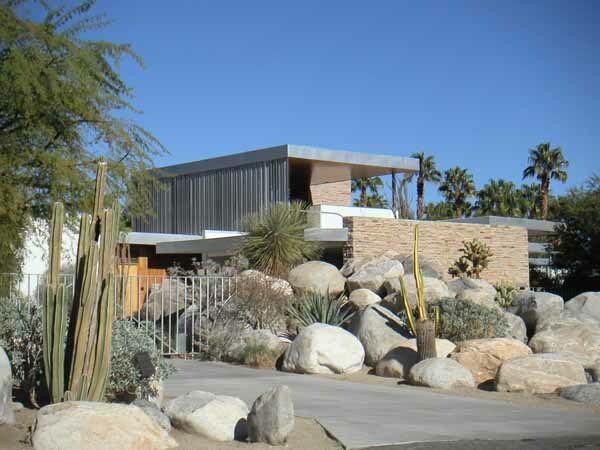 This entry was posted in Architecture, Colorado, Palm Springs. Bookmark the permalink. hI, WHAT A FUN WAY TO SHARE YOUR ADVENTURES. I FEEL FAMOUS, NOW THAT I AM ON A BLOG. FOUND THE SITE EASILY ON BING. GREAT PICTURES. LOOK FORWARD TO SEEING YOU GUYS IN PLAYA DEL REY.